Q: How and when did you know you wanted to do Yoga Teacher Training? A: I didn't. I was at a point in my life where I loved my job, but it was definitely not fulfilling my purpose. I could feel myself growing, but did not know where to turn (I was feeling stuck to put it mildly). One day, while standing in the kitchen, I literally heard "Yoga teacher training" (from what I now know to be my Intuition/Source/etc). I kinda looked up and out loud said "Really?". At this point, I did yoga sparingly, on my "off" days from running. I wasn't a seasoned yogi, nor did I love it or understand it like I do now. Before I knew it, though, I was sitting at the computer and searching for upcoming trainings. Q: And the Life Coaching? How did that come about? 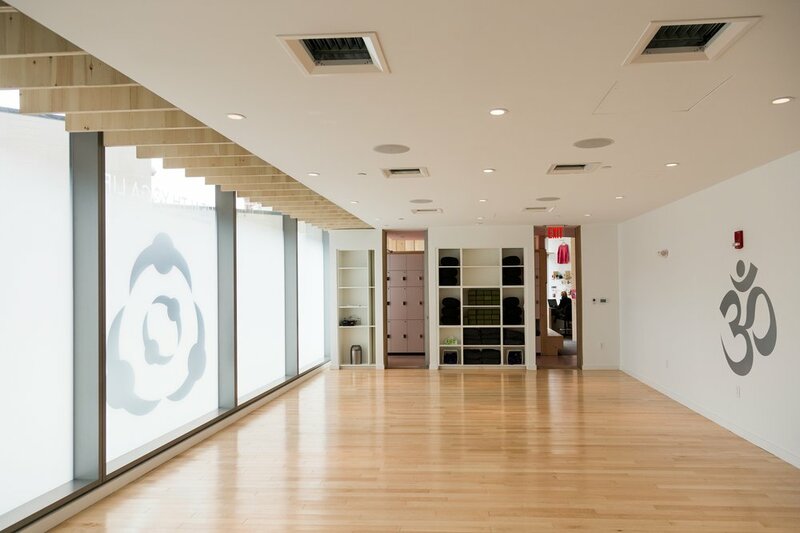 A: While on my search for programs and studios, I came across the most beautiful studio I had ever seen . I had never been there, but could not help but to look more into the place. While I was browsing the YTT options, I noticed there was also an option for Life Coach certification. I was intrigued to say the least. Before I knew it, I was chatting with one of the owners of the studios, and found out that I could get a discounted rate to do both programs simultaneously. I was all in. I took out a new credit card (yup, had to do that but knew it would absolutely be worth it), I signed up, and I prepared to change my life. Q: Where did you get certified? Q: What if I want to become a Life Coach, but I don't live in Boston? A: The Life Coach program is ONLINE! It is a 10 month program (you can go more quickly if you see fit, or ou can take longer if need be) that has recordings, required readings, homework, and access to the HYL Coaches should you have questions! Not to sound corny, but to say I learned a lot about myself and how to live my optimal life during this would be an understatement. Honestly, I didn't even know if I would want to Coach after, I just knew that it would help me immensely regardless-and I was right. *Sidenote: At the end of the course, there is a section specifically designed to help you set up your business- everything from the legal aspects of it to how to get out there and start Coaching! I mention this because being afraid of starting a business can be such a deterrent, but this helps so much to ease that woe. A: When I explain Coaching to people, I like to first start off by noting the difference from a therapist (therapy is cool, too-just different!). Coaching is less regression and dissecting/focus on old or past situations, and instead focusing on the "you" you want to be-getting good momentum going to help you to up-level yourself and life! We focus on incrementally making changes to thoughts, beliefs, and action. There are definitely times when, depending on the situation, we will have to do some introspection about where certain limiting beliefs come from, but I have found that people often focus so much on a problem that it just creates more of it, and more of the feelings surrounding it. Also just an FYI- Coaching is done over the phone, so when you Coach people, you can both connect from anywhere! Q: I have a lot going on right now, but I have been thinking about doing a teacher training or Life Coach program for a long time. How will I know the time is right? A: The time is right...NOW. If you were called to do one or both of the programs- do it. Had I not sat down and taken action immediately, I would have put it off until it didn't happen. Sure-everyone is busy and has a LOT going on, but that is why there are different options! Q: Okay, so the Life Coach program is pretty flexible. How can I fit in Yoga Teacher Training, though? A: The best part about the teacher training is how many options there are, and how flexible HYL is in helping you to make it happen. The first option for teacher training is a 2 Week Intensive training in Vermont over the summer. I know, I know, you have tons going on and kids to be fed and work to be done! But you also have your Soul to check-in with and your life to live. Put the kids in camp (only half kidding), take a vacation, and take 2 weeks to change your life and do something for YOU. Anyways, the other option is the 8 Weekend Training that happens every season. For this, training is pretty much all day both days on the weekends for 8 weekends, BUT they are not consecutive (you get weekends off intermittently), AND if you miss a weekend, you can make it up the following season! So really, what I am trying to say, is there is an option for you if this is what you are being called to do, so don't let the negative Nancy in your head talk you out of it! Q: Do I have to be super into yoga to take Teacher Training? Do I have to have tons of prior experience? A: Sure don't! Like I said, I had only done yoga a handful of times. When we were asked on day 1 what our favorite pose was, people were saying all of these cool ones and I had to hustle mentally to come up with "child's pose." Lol. And hey- if you don't even know what child's pose is- STILL fine. A: I will link the sign-ups and information below, so you can check it out for yourself! I will also link the studio so you can check that out as well, and get to know the HYL staff and fam. 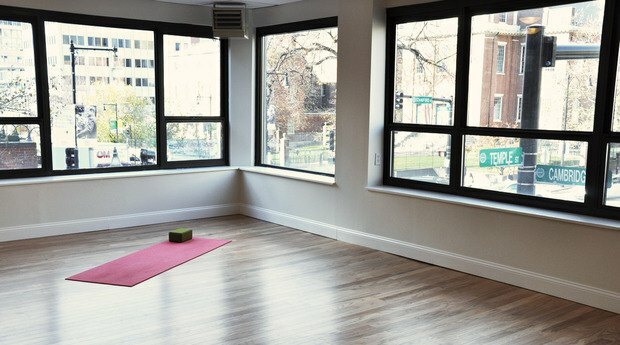 The NEW Health Yoga Life Studio that just opened in Cambridge! I mean, could it be any more beautiful? Ahhh, my favorite view in the OG Beacon Hill studio. How I miss long Saturdays learning about life and flows and wisdom in this room.